It might've been around for a while now (since 2004 to be precise), but the Gold Rally slot game is still worth its weight in gold. With serious payouts and an impressive bonus round, you've got a great chance to strike it rich with this popular and easy-to-play slot from software provider giant Playtech. The theme is – you guessed it – the gold rush. In keeping with its theme, this slot has one of the highest payouts you can find. It tends to pay out a massive half a million credits or (slightly) more over the course of six weeks. It's multi-platform too, which means you can play on Android, Apple, Blackberry and Windows devices. 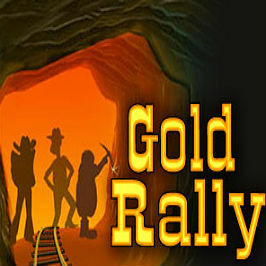 Play Gold Rally Slot Demo for Free! 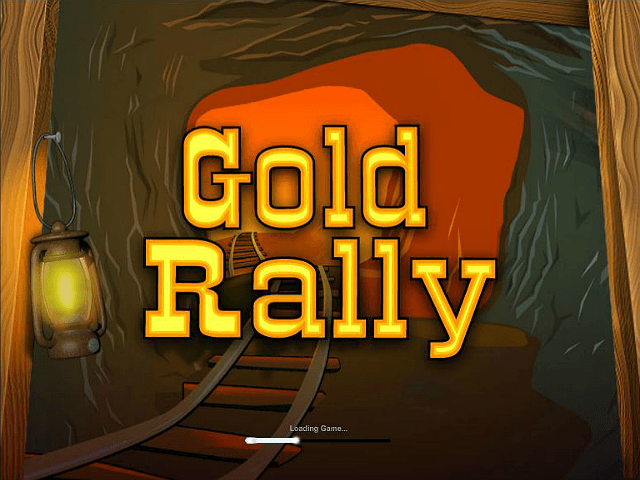 Play Gold Rally for Real Money! As you might expect, Gold Rally is set in a gold mine. The visuals are colourful but not garish and the layout is simple and easy to read. Your credit, win, bet and line bet stats are neatly placed at the top right of the display. One of the features that really sets Gold Rally apart is the grid itself, as it makes the game very intuitive and easy to pick up, even if you're a total newcomer to online slot games. There are no free spins – instead you can unlock a bonus round during play. There are a few things to keep in mind when playing a game of Gold Rally, but in general you'll be spinning away in no time. It's very easy to pick up. At first, the three-reel slot and left-to-right (or vice versa) paylines are simple to get to grips with, but you can also win by matching diagonal and vertical paylines, which gives you much more chance of a win. As with most slots, it’s a case of matching the symbols in certain combinations to win. 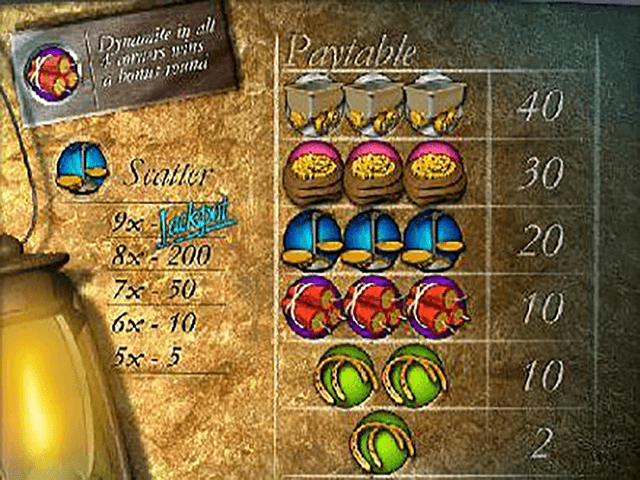 There are standard symbols in Gold Rally, as well as scatter and bonus symbols. There's a pistol, gold horseshoes, pick axe, GR logo, a mine cart, dynamite and gold scales (the scatter). You can set your coin value to a maximum of 2.00. If you want to play all paylines (eight in total), you'll need 16 spins. 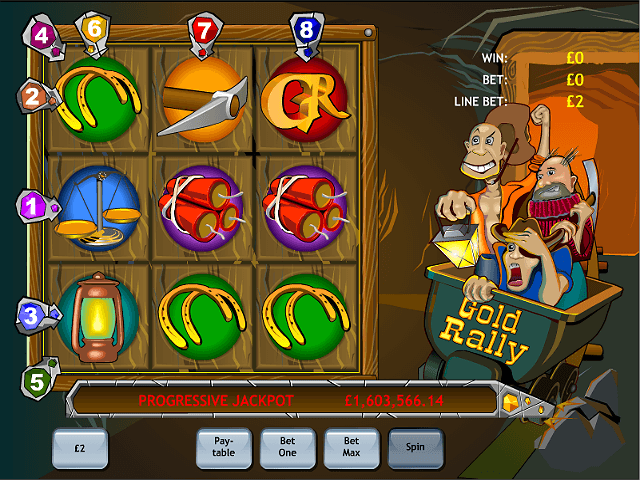 One feature that continues to make Gold Rally one of the most popular progressive jackpots is the payout. While you do need to bet up to 16 spins to cover all your paylines, as mentioned, this can lead to a very impressive payout. It's actually one of the best paying slots, with a verified payout percentage of over 90%. To win the jackpot you need all nine of the scatter symbols on the grid. Your winnings could add up to plenty if the pot has been filling for a while. The scatters are the only symbols that can appear in a group of nine, while the standard symbols appear up to a maximum of two or three. You can access the bonus game by collecting four dynamite sticks. This is a great way to add to your winnings, especially if you bet high to start with. 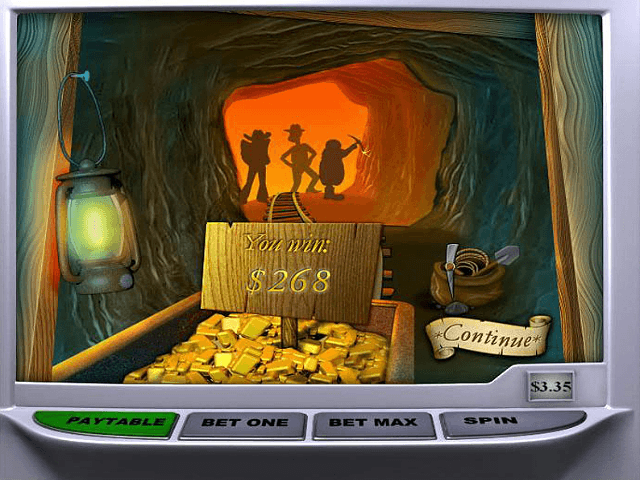 If prospecting for hidden gold takes your fancy, then this is the slot for you. The progressive jackpot and high odds are a good enough reason for anyone to give this slot a go. Share this Gold Rally Review today! If you like Gold Rally, you'll love these slot titles too!